At BCC we makes sure we have experienced coaches. We have regular training to make sure our coaches are organized and teaching the correct techniques. I found BCC 3 years while looking for the best place for my oldest to play tennis. BCC came highly recommended by several people. My daughter began taking from Clark and we have loved it here. Soon I found myself helping with the program more and more. I didn’t play tennis myself but love the sport. I was a sprinter for Lone Peak High School and won 2 state championships. Here at the club I make sure everything is running smoothly inside and out. I also help organize and run all of our tournaments. 20 years old and was born and raised right here in St. George Utah. I've been playing tennis here at Bloomington since I could walk, taking lessons from my Dad and head tennis pro here at BCC, Clark Hancock. I graduated from Pine View High School where I won 4 individual 1st Singles State Championships. I am a junior at Dixie State University and I currently play #1 on the Women's Tennis team. I'm studying Sport and Recreation Management and I hope to work in athletic administration in the future. Besides playing tennis, I love to go to the movies, play the piano, and anything active and outdoors. I am lucky enough and love teaching tennis here at Bloomington. Played Varsity tennis all four years at East High School, team captain for junior and senior years. Also played all four years at Dixie State University, captain both junior and senior years. Recognized and awarded MVP at the all-athlete banquet sophomore year. Currently finishing criminal justice degree at DSU and working as a fifth-year student assistant with the tennis team. Planning on pursuing a career in law enforcement and loves hiking, camping, and fishing. Josh Michelsen was born April 15, 1994 in Orem Utah. Raised in Ontario California. Began playing tennis in 2007 with his family before joining the high school team as a freshman in 2009. Josh played mainly doubles throughout his high school career winning two league titles as well as various MVP and Coaches/ Principles awards for Chino High School. Josh continued to play at Southern Virginia University for another two years. He has participated as both player and coach in various summer camps prior to coming to Bloomington. He currently holds the record for best looking coach at Bloomington. 22 years old. Originally form Centerville, Utah. Came to Bloomington after being married in August of 2016. Has been playing tennis since 12 years old. Currently playing for Dixie State University and previously played for Idaho State University as well as BYU-Hawaii before serving an LDS mission in Uruguay. She has been teaching tennis for many years and received the USPTA professional certification shortly have starting at BCC. 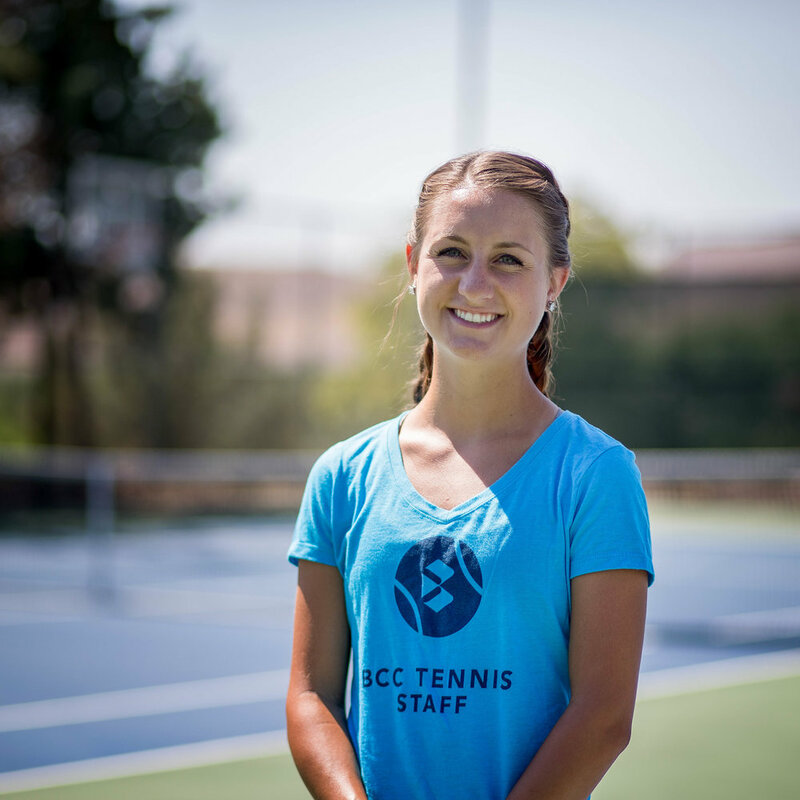 She is majoring in exercise science and is loving teaching kids to play tennis. 21 years old. I was raised here in St. George and have been playing tennis here at BCC since I was 10. As a freshman in high school I won state in 2nd doubles. I have also won state in football and track. I have been a certified USPTA pro for 2 years and love coaching tennis. I am currently an EMT and going to continue on the path of becoming a paramedic firefighter.